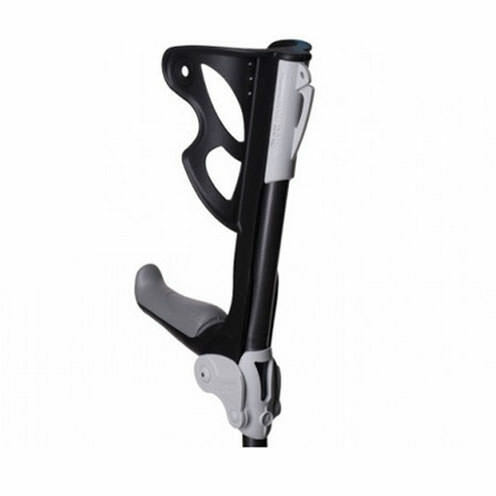 FDI ErgoDynamic forearm crutch has premier design feature an integrated shock absorber system that softens each step to avoid shock to the hands, wrists and shoulders. 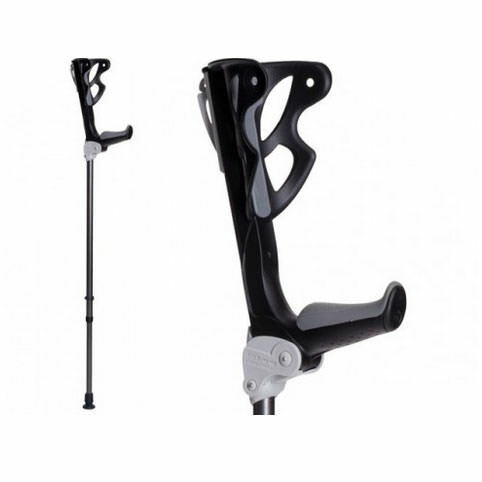 ErgoDynamic has unique shock absorber which is integrated into the upper shaft and utilizes an exclusive in-handle linkage system offering smooth, silent operation throughout its 1.26” travel. 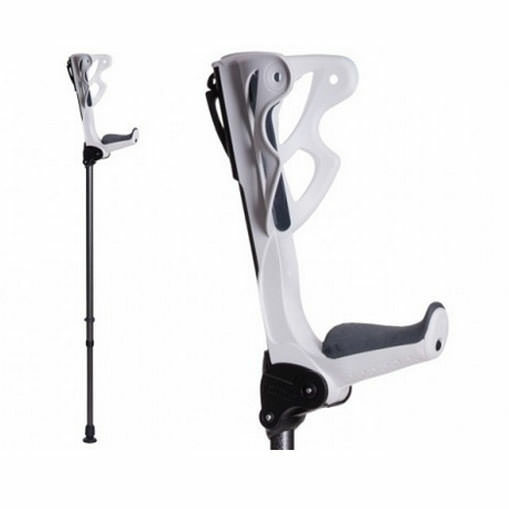 Forearm crutch’s design provides greater feedback and control while providing positive forward momentum to the user. Small = spring rate, up to 154 lbs. Medium = spring rate, 132-198 lbs. Large = spring rate, over 176 lbs. Height range 4'7" - 6'8"
Weight per crutch 1.32 lbs. 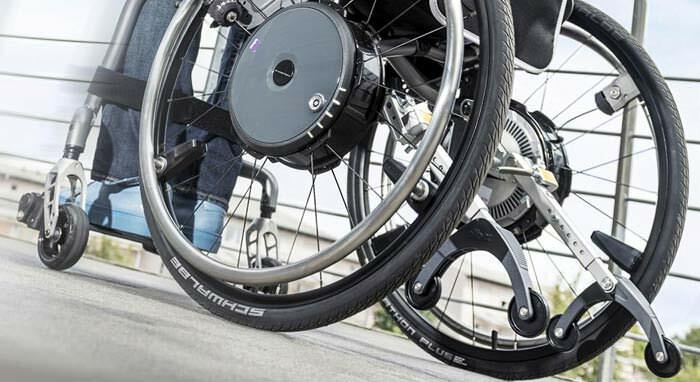 Grip to floor range 28.4" - 39"
Height adjustable increments 12 x 1"
Distance from handle to cuff top 9.6"
Maximum shock absorbing range 1.6"
Maximum user weight 286 lbs. 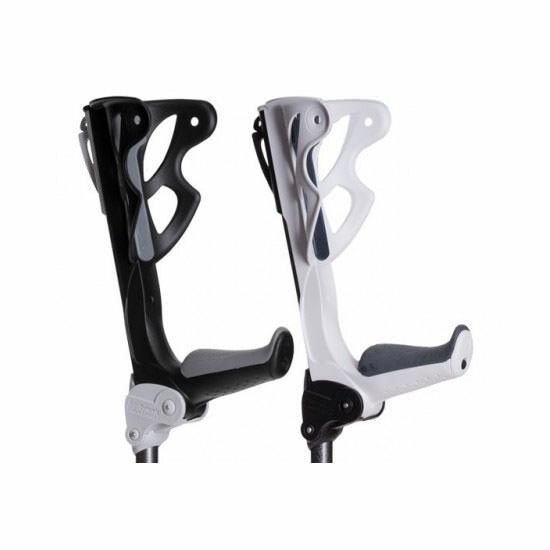 Manufacturer warrants this product to be free of defects in materials and workmanship for a period of One Year to the original consumer/purchaser. This device was built to precise standards and carefully inspected prior to shipment. This warranty does not cover damage from normal wear and tear, accident, abuse or the normal breakdown of components or materials. 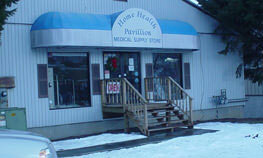 For any claims under warranty, you must obtain Warranty Authorization Number and Return Instructions by email or by call. 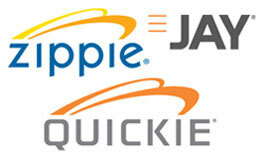 Manufacturer offers a 14 day money back guarantee. 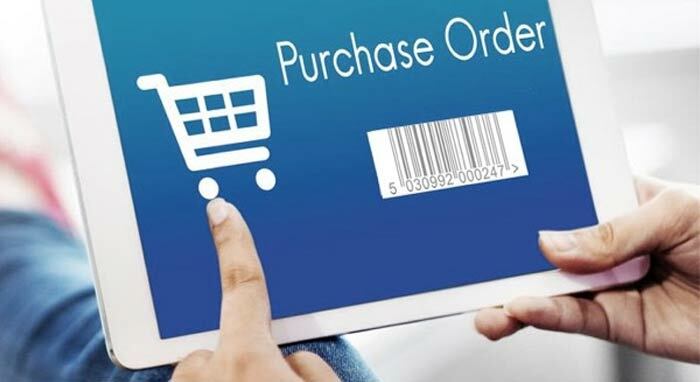 The product must be returned within 30 calendar days of the issuance of the Return Authorization Number. Products must be packaged in the original packaging and include all accessories, manuals and/or documentation that came with the product. Returns that do not meet these conditions may be subject to a restocking fee. 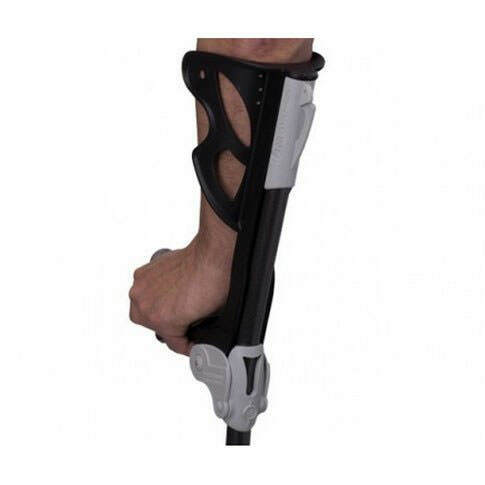 Repackage your crutches and write your Return Authorization Number on the return label. Please ship the return package via prepaid, traceable and insured shipping method to help ensure a safe and documented delivery. We suggest using US Postal Service “Parcel Post” with Delivery Confirmation for your return. Once your return package is received, your refund/exchange will be processed within 1-3 business days. 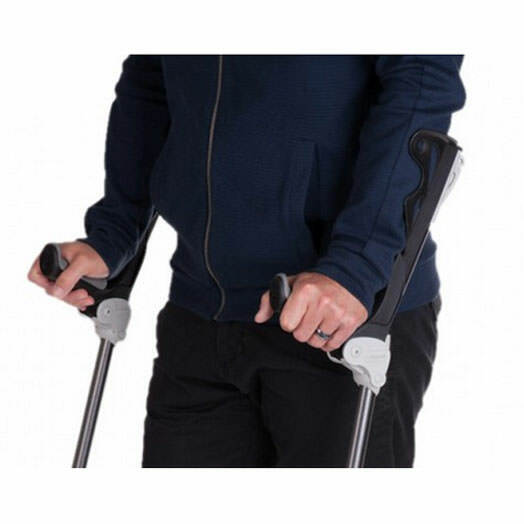 Please note that refund will be issued for the amount paid for your crutches only. Original shipping charges and any return shipping charges will not be refunded. In the event that an exchange item is not available a refund will be issued to the original method of payment. If you have an exchange for the same dollar amount as the original purchase, no additional shipping or handling costs will be incurred. Shipping and handling fees are not refundable.